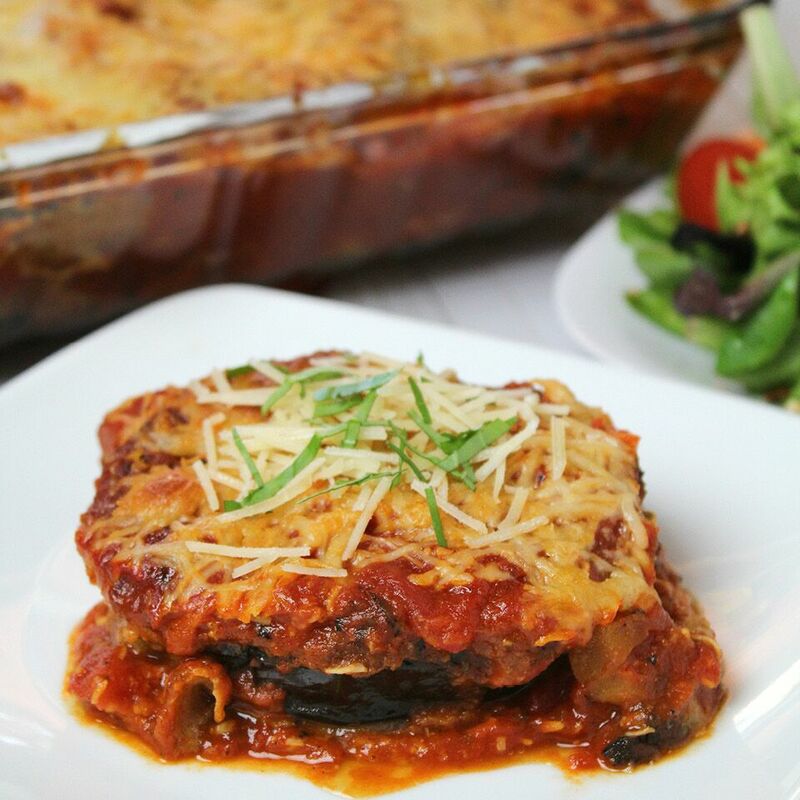 Eggplants used to intimidate me, but I absolutely adore Eggplant Parmesan. 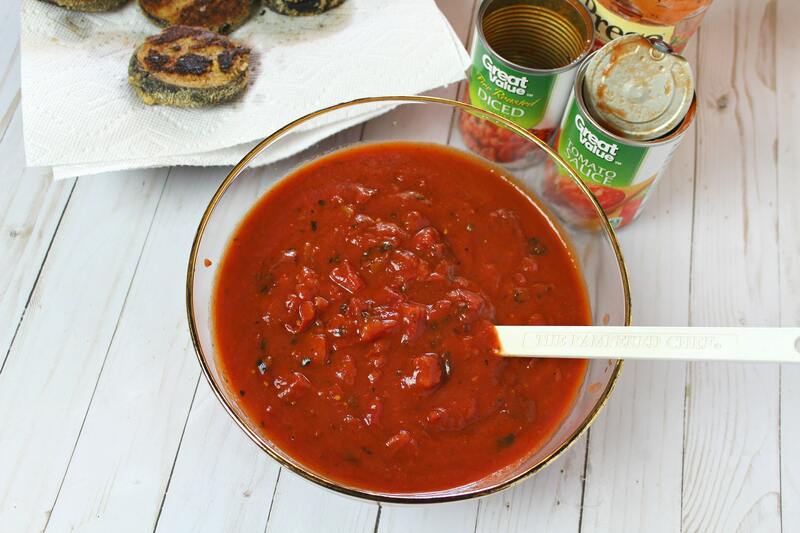 All that ooey gooey cheesy saucy comfort food deliciousness … what’s not to love? So I was determined to find the secret to good eggplant texture. Do you want to know what it is? Salt. Lots and lots (and lots) of salt. It sounds a little strange, but it works. And it’s helped me perfect this delicious recipe this simple, classic dish to share with you today. I know you’ll love it as much as my family does. 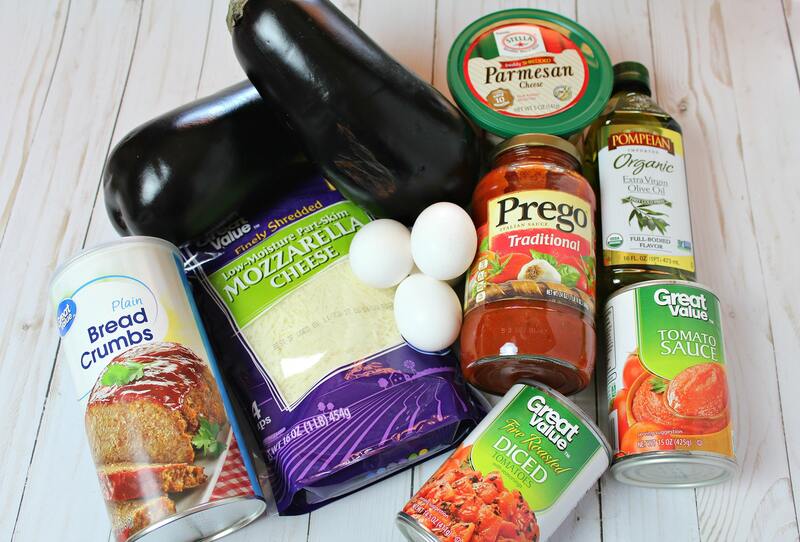 And while Eggplant Parmesan might seem like a complicated dish, this version is pretty darn easy thanks to a not-quite-from-scratch sauce. I promise it is SO much better than the frozen stuff! 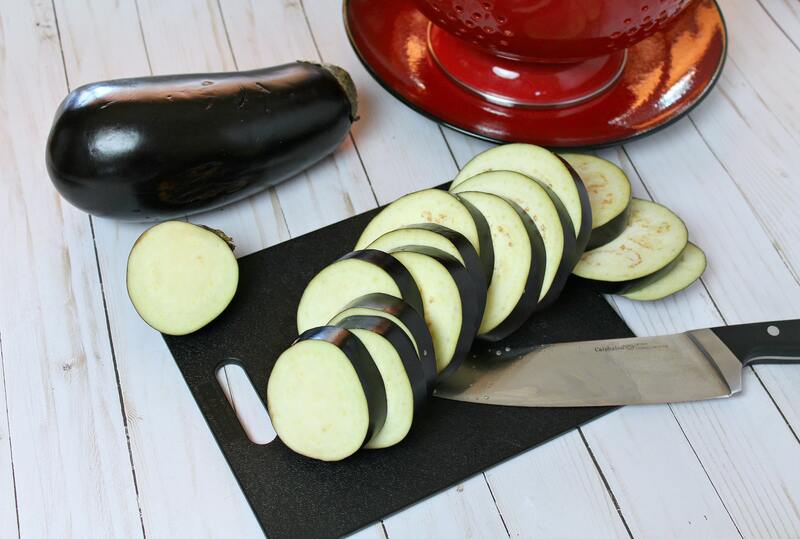 Step 1: Preheat oven to 350 degrees; depending on how thick you like your eggplant (thicker slices = less breading), cut it into 1/4″-1/2″ slices. Step 2: Place eggplant in a colander and sprinkle generously with salt. Use way more than you would eat! Get the pieces really covered as much as possible. Let sit for approximately 30-45 minutes, then rinse and dry well. Step 3: Whisk eggs well in small bowl. Pour bread crumbs into second bowl. Heat olive oil to over medium-high heat to 350-375 degrees. 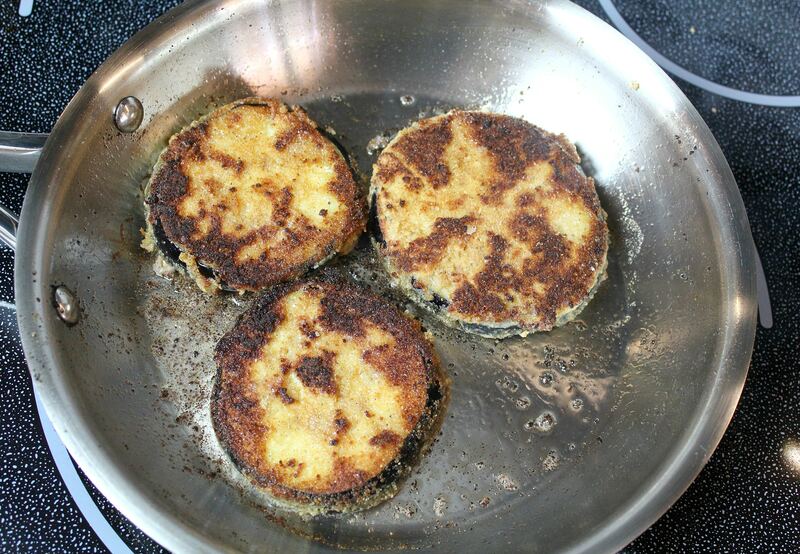 Step 4: One at a time, dip eggplant slices in egg, then coat with bread crumbs. Place in oil and fry until golden brown, approximately 2-3 minutes per side. Place on paper towel covered plate to cool. Step 5: Mix spaghetti sauce, tomato sauce, & diced tomatoes in bowl. Step 6: Spray a large casserole dish with nonstick cooking spray. Layer half the eggplant in dish, then cover with half the sauce, 1/3 of the mozzarella, and half of the Parmesan cheese. 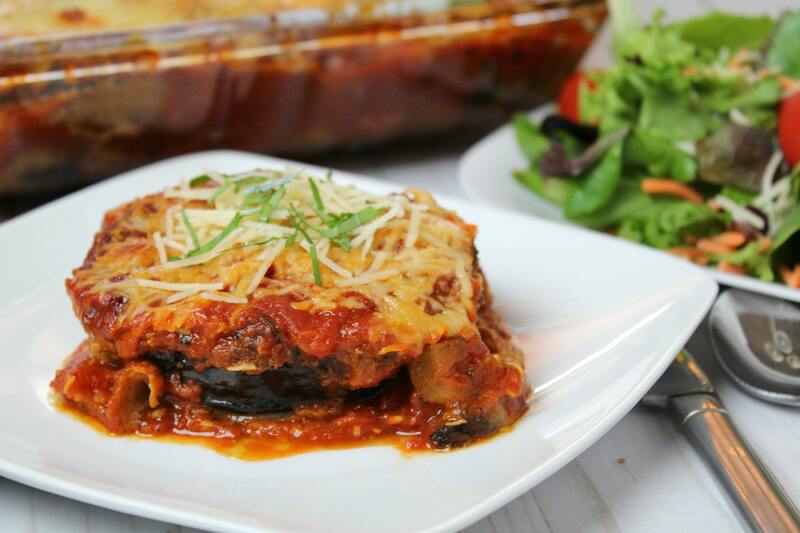 Layer remaining eggplant over sauce & cheeses, then cover with remaining sauce and cheese. Step 7: Bake at 350 degrees for 40-50 minutes, until mixture is bubbly and cheese is golden brown. Let stand 10 minutes before serving. 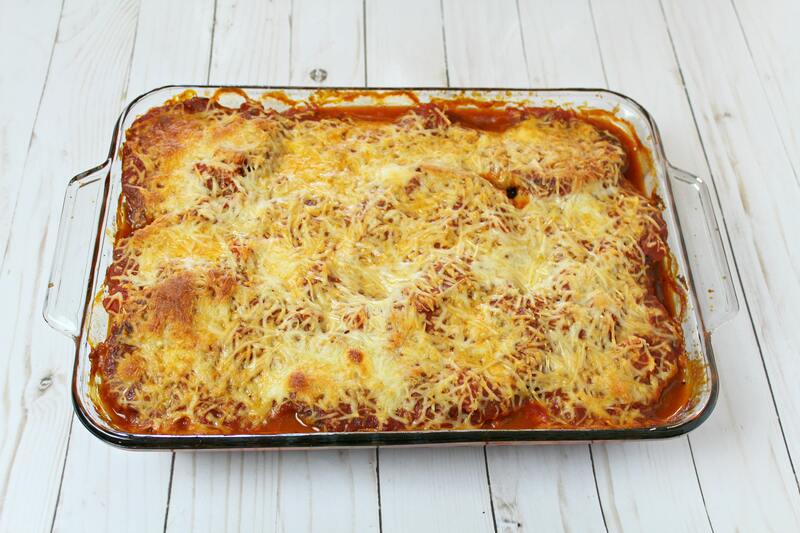 This classic dish comes together easily with semi-homemade sauce and lots of yummy cheese! Preheat oven to 350 degrees; depending on how thick you like your eggplant (thicker slices = less breading), cut it into 1/4"-1/2" slices. 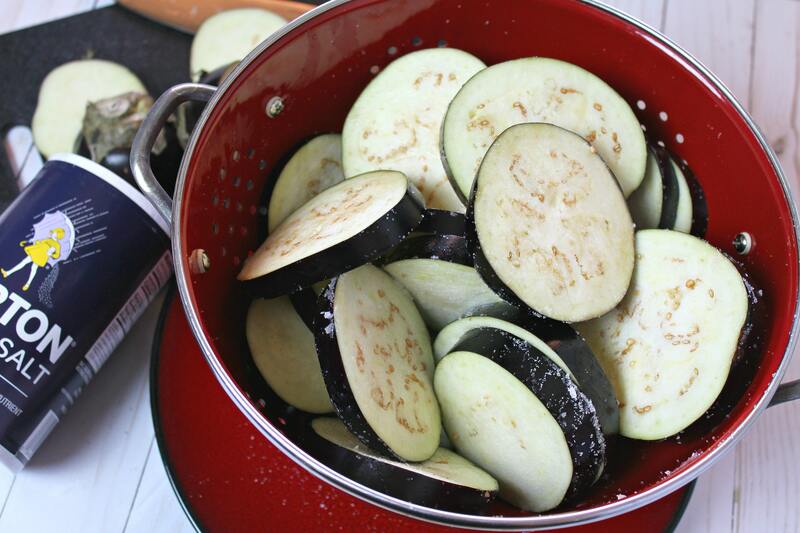 Place eggplant in a colander and sprinkle generously with salt. Use way more than you would eat! Get the pieces really covered as much as possible. Let sit for approximately 30-45 minutes, then rinse and dry well. Whisk eggs well in small bowl. Pour bread crumbs into second bowl. Heat olive oil to over medium-high heat to 350-375 degrees. 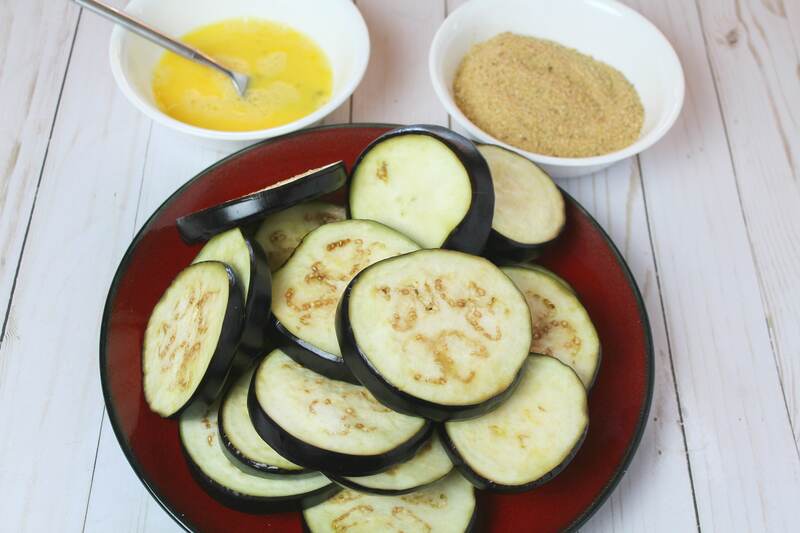 One at a time, dip eggplant slices in egg, then coat with bread crumbs. Place in oil and fry until golden brown, approximately 2-3 minutes per side. Place on paper towel covered plate to cool. Mix spaghetti sauce, tomato sauce, & diced tomatoes in bowl. Spray a large casserole dish with nonstick cooking spray. Layer half the eggplant in dish, then cover with half the sauce, 1/3 of the mozzarella, and half of the Parmesan cheese. 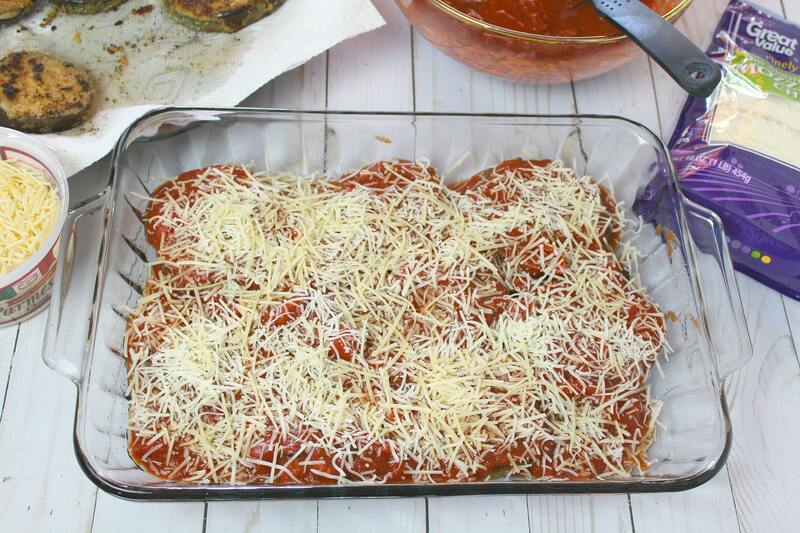 Layer remaining eggplant over sauce & cheeses, then cover with remaining sauce and cheese. Bake at 350 degrees for 40-50 minutes, until mixture is bubbly and cheese is golden brown. Let stand 10 minutes before serving.